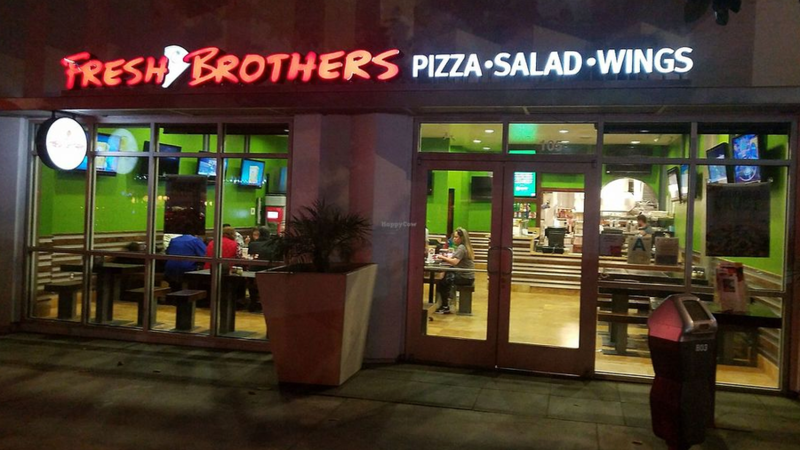 Fresh Brothers is one�pizza restaurant�you can always count on to be, well... fresh. Whether you’re looking for�healthy pizza delivery options, regular�pizza delivery, or a sit-down experience at one of our 19 locations in LA and Orange County, here’s our promise: Our sauce is packed with 100% fresh tomatoes (from Modesto, CA), our cheese (from Wisconsin) is one of the highest quality premium mozzarellas in the US, and our dough is made daily (right here in LA). Chicago is not a bad place to come from if you’re interested in pizza. Sure, there’s Rome, Naples, and New York to contend with reputation-wise, but the Windy City also can claim its own famous namesake: Chicago-style pizza. That’s where it all started for the Goldberg brothers. Scott opened his first restaurant, Miller Pizza Company, back in 1985 and received numerous accolades, including being voted “South Chicago’s Best Pizza” by the�Chicago Post Tribune. It’s still there today and still owned by the Goldberg family. Building on this pizza knowledge and heritage, brother Adam and his wife Debbie opened the first Fresh Brothers in Southern California in 2008. The goal was to take their traditional Chicago style family recipes and give them a fresh California twist; It’s a combination of old-school quality and upgraded nutrition. Why Fresh? Well, it’s not just a brand name — it’s why Fresh Brothers stands apart from your average pizza joint.